Our Passion is Jesus Christ. Volunteer to Make an Impact! Grace and Destiny, fourth-grade twin girls, have been attending Impact for four years. They, along with 40 other children, began attending Impact through a series of several cookouts at their newly rebuilt apartment complex. Grace and Destiny’s mom, a single parent struggling to raise the twins on her own, signed them up for VBS during one of the cookouts. Over the last four years, Grace and Destiny have flourished at Impact, though it hasn’t always been easy. Grace struggled tremendously when anyone would try to correct her behavior. One Sunday morning she was completely out of control and had to be physically restrained from running out of the building. One of our members who was blocking the door to keep her from fleeing received the brunt of it, being punched in the stomach and called “Fat Albert,” among other things. Every Sunday after the incident, “Officer Batista” made it a point to find Grace and say, “Hi Grace, I love you.” Now, “Officer Batista” and his family are the first people Grace wants to sit with. She also has a list of people she sits with if the Batista family does not make it to church, and a large number of people she looks forward to seeing and greeting. The two sisters are at Impact four times a week for Sunday morning services, mentoring, Thursday night Bible study, and tutoring. They have made Impact their family. Literacy has been an ongoing battle for Destiny. When we first met her, she was struggling significantly in school because of it. One of our summer reading teachers, Ms. Acacia, would regularly drive to Destiny’s apartment to tutor her, and, on top of helping her reading level significantly improve, has become a great resource for their mother. In fact, their mother has several phone numbers of Impact members on speed-dial for when problems arise. Grace and Destiny are learning such valuable lessons from people who give of their time at Impact. What’s amazing is that the list of people they have to sit with on Sunday mornings will become a list of people they have on speed-dial when they are 16. 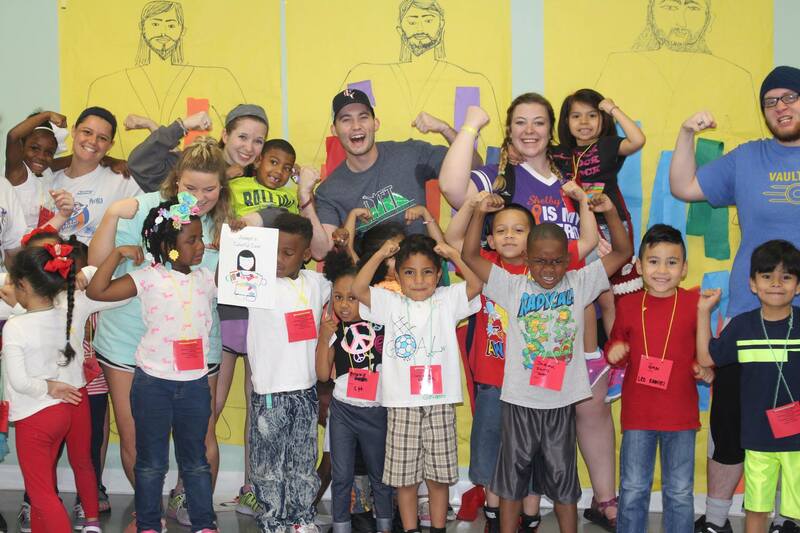 None of this would have happened if it were not for Impact’s summer programs! The summer, more than any other time of the year, allows for the building of numerous Christ-centered relationships for our youth and children. 40 interns, 75 reading teachers, more than 1000 high school students, camp counselors, the Impact ministers, bus drivers, and so many others pour the love of Christ into our children. Grace and Destiny, along with 398 other elementary-aged children, will attend one of three concurrent 6-week long VBS camps at Impact this summer. They will attend 4 full days a week of Bible instruction, singing, fun activities, literacy classes, field trips, and meals. 130 Middle School and High School youth will for 4 days a week for 8 weeks attend summer camp-like activities, Bible lessons, and service projects, among other trips and camps. With so many ministries running every day, there are many ways to get involved at Impact! Your support makes an IMPACT. Inner-city ministry: Changing lives through Jesus Christ.